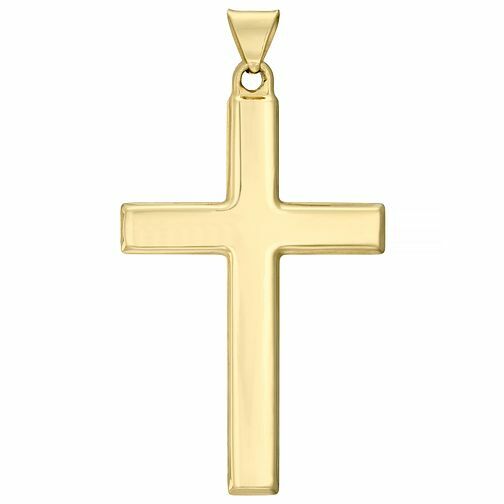 A classic gift for a loved one, or treat for yourself, this cross is crafted in 9ct yellow gold. 9ct Yellow Gold Cross (No Chain) is rated 5.0 out of 5 by 3. Rated 5 out of 5 by Anonymous from good thickness sits well on my chain has good rounded edges I am very pleased with my cross. I have been looking for one at this size. It is very well made and friends have admired it. Its plainness is its attraction and I love the way it sits on my chain. A very good buy and looks more expensive than it was.